Ray Charles & Company is no longer playing. 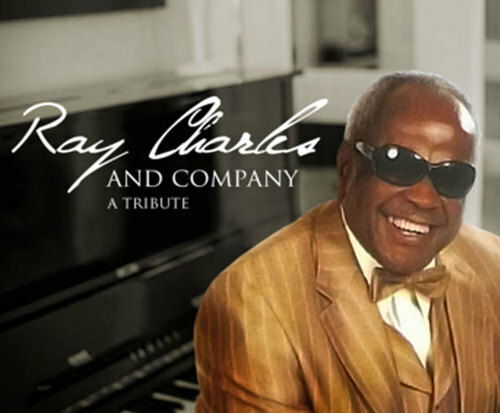 Ray Charles & Company is a fantastic tribute show to delight all who see it in Branson, MO; whether you are a longtime Ray Charles fan or a first-time listener, you are sure to have a great time dancing, singing, and tapping along to some of this legend’s greatest hits. The tribute’s star is Willie Nash, who gained a name for himself performing with the World Famous Platters. He conveys the image, personality, and vivid talent of Ray Charles perfectly. Some of the hits audience members may hear include, “Georgia” and “I Got a Woman”. One of the most iconic figures in musical history, Ray Charles is renowned for his signature style and skillful piano playing. After going blind at the age of seven and becoming an orphan at the age of 15, Ray Charles experienced much adversity in his life. Turning that negative into a positive, he went on to create music that is still listened to today.